Aurora is proud of its rich history. Our heritage is prominent in the Town's architecture and cultural festivals. Many of Aurora's area attractions are in fact historic in nature. This includes: Yonge Street with its one-of-a-kind shops and annual street festival; the Aurora Museum that archives the town's development; the Hillary House, recognized by the National Historic Site and Monuments Board as one of Canada's best examples of Gothic revival architecture and Aurora is also home of the Queens York Rangers. In addition, community events such as the World's Largest Street Festival, Farmers Market, Rib-Fest and Doors Open provide family-focused entertainment year round. Aurora is recognized as a premiere heritage community. In 2008, the Town won the prestigious Prince of Wales Prize for its commitment to the preservation of its built heritage. 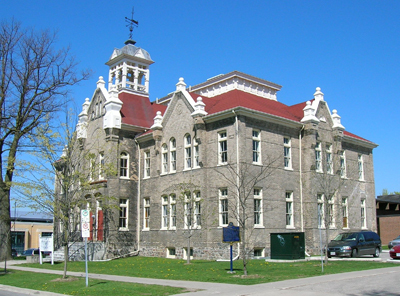 In 2008 the Town invested $2.5 million and committed to the renovations of the 1866 Church Street School, known as the Aurora Cultural Centre, a Not for Profit art & cultural centre overseen by a volunteer board appointed by Town Council and opened in 2009. The Aurora Cultural Centre will serve as a centre for arts, culture and heritage.